So Gimme Media has delved into the world of creating mobile apps. It's taken a while and has been put on the back burner for a bit because of the high learning curve and high cost entry point. But, we have got there and over the next few months we will be rolling out a series of business mobile apps for our clients on the Android and Apple platforms. So, in testing the water with our first app, we realised that whilst we had a number of icons in our stock folder - and that we could create some if we needed using Photoshop or Illustrator - it might be easier to see what was available already out there. We were amazed at the number of high quality free or very low priced icons sets. It makes sense to utilise these as it saves so much in time. 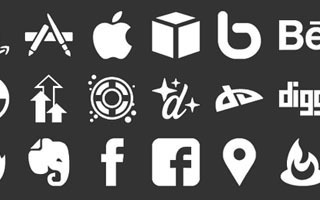 So here are our top 20 sets of icons that you can use for mobile app or website use - we've tried to include any restrictions regarding commercial use, but please double check just to be sure. 18 payment icons in PNG format, in the resolutions 32×32px — 128×128px. The set was designed by Phil Matthews and released especially for Smashing Magazine and its readers. 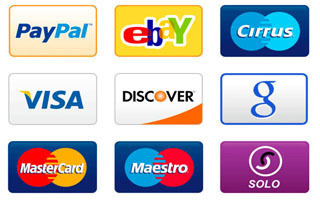 The icons are intended to be used on e-commerce websites where you can show what types of payment the shop accepts. Each icon comes in curved and straight edge variations. As usual, the set is free to use in private and commercial projects — no credit is required. 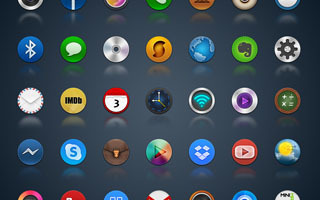 This set includes 725 512x512 Dock Icons for today's top applications, internet browsers, Operating Systems/system icons, manufacturers, 1-5 alternative icons for the top websites, and more! This set also includes all of the icons as reflective - for that extra eye-appeal. 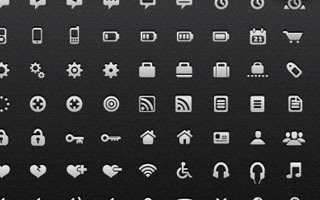 These 150 monochrome social icons are designed with simplicity in mind. Provided in vector format, they are fully editable and scale to any size smoothly. They are completely free, even for commercial use, redistribution or remixing. The original artwork in vector format is provided in .AI (CS3+) and .EPS (editable in Adobe Illustrator, Freehand, CorelDRAW and Inkscape) files. Also provided are individual files for each icon, in .PNG and .SVG format. The .PNG icons are 32px x 32px PNG-32s, black on a transparent background. The .SVG icons are 100px x 100px, with a black fill color. Nicely crafted set of mono icons. You will need Adobe Illustrator to do any editing - if you don't have Illustrator, them you may want to try something like Inkscape, which is free - although not as comprehensive as Illustrator - but it will at least allow you to do some editing i.e. adding colour, changing shapes etc if you need to. But you may NOT distribute the icon set elsewhere without their consent. This icon set to match with the design style seen in most Google products/ icons. Some of the icons are close copies of actual Google icons (Gmail, Chrome, etc), but most are completely original and none were copied directly. This set is available for personal desktop/ mobile use only. If you would like to use it for any other reason, you should contact the author directly. 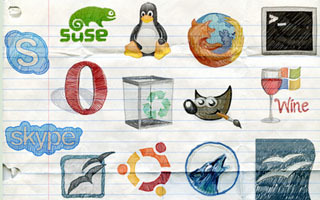 34 freehand icons in a PNG format. These are mainly social icons, so if you want this style for anything other than social - you may have to contact the author to see if he could create you a custom set. But a nice look to the icons and different to most of the clean look styles. 128 light and dark icons for a variety of uses. 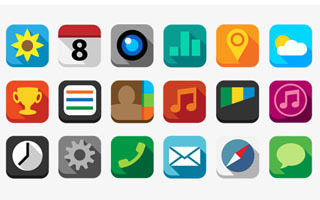 Icon sets include Adobe, Communication/Internet, Devices, Multimedia Graphics, Office, plus plenty more. The icons come in PNG (128x128px) and ICO (16x16 / 32x32 and 256x256px) formats. There is also one PSD file including the layer styles for each resolution included, as well as a detailed tutorial of how to design to match the set. 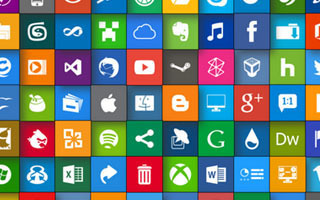 This is a HUGE set of icons covering absolutely loads of topics AND in a large number of formats. Icon formats include : AI, EPS, Font Face, PDF, PSD and SVG. Probably the craziest name for an icon set - but it's nice and therefore we've included it. 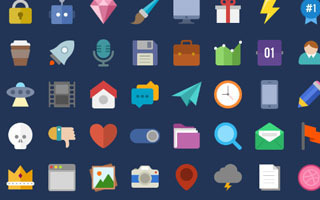 108 icons in a PSD file - each icon is 32x32px and is neatly set up in layers, allowing you to alter various factors, like colour overlay, gradients, patterns, etc. 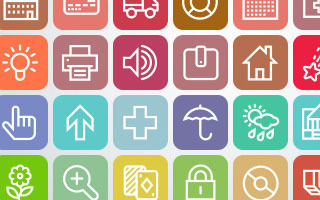 The set consists of web application icons, user interface icons, e-commerce icons, general use icons, desktop icons, blog icons, smiley icons, button icons, keyboard icons, national flags icons, popular online services icons and many others. It's another set of icons that have been done for Smashing Magazine - so it is probably worth while checking through their website to see what other icon sets they have. One of our favourite websites over the years has been Elegant Themes (aff). We signed up to them when Nick only had a handful of themes - he now has over 80 WordPress themes and it's still one of the best club membership sites out there. Some nice looking icons here - all semi transparent and give you a nice look to your icons. Plain in colour - and as PNG's will be difficult to add colour, but we think they look great as they are. 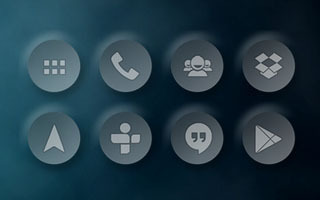 With 294 icons to choose from, it should give you plenty to choose from to cover most topics. 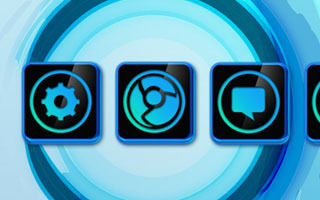 More Metro styled icons - in a cyan overlay. We liked the look of these and with 217 to chose from, should cover everything you need. Again, as they are PNG format - it leaves you little room for editing - adding colour overlays tend to ruin the look. But, they look fab as they are - so should be great if the colour of your app or website is some shade of blue. 1037 icons for you to choose from. That's huge!!! There is a downside though - the pixels are on 40x40px in size and come in the PNG format. If you want the high res, vector format - there is a premium version at $25 - which is still worth it - but for the free version, you may be limited to using them for app design only. 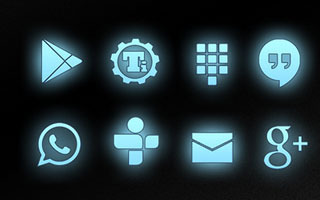 This icon set looks brilliant on a dark web theme or dark styled app. We love glowy stuff and this fits the bill for inclusion on this list. 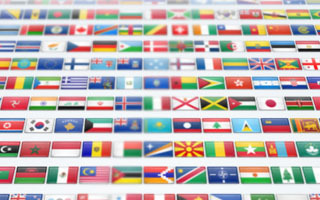 Flags Icons galore - they claim to have created flag icons for every major country, we haven't checked but there are a heck of a lot - 260 countries in total . They come in 16px, 24px, 32px, 48px and 64px sizes and PNG, ICO and ICNS formats. 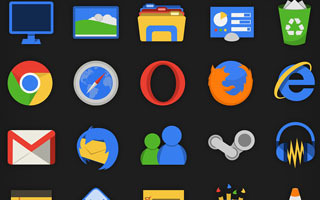 47 flat icons to use as you please. A simple set but nice and clean - no social icons, but you should be able to use these for most web or app projects. Supplied as a PSD file, means you need Photoshop, but each icon is made up of different parts, so you can create a lot of different icons from these 47 - as well as editing the colours, etc. 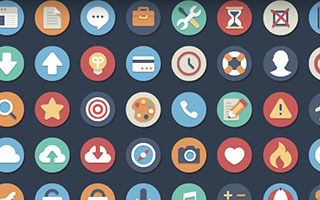 A small set of 21 flat icons with a long shadow effect. Supplied as AI and PNG - you have the ability to edit the icons to suit your needs. Designed by teenager Simon Rahm from Austria, he was inspired by a post on the Hongkiat website and decided to create it for their readers. Take advantage of a unique "shadow" design for your apps now. So there we have our top 20 icon sets - all are free to download and most you can use for commercial projects. We will follow up this post with our top 20 premium icon sets - they cost you a few quid, but sometimes you have to do this for the right style of icons for particular projects. 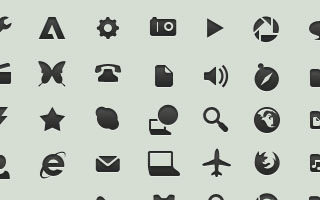 But for the meantime, enjoy the above free icon sets - they are definitely good enough to use on most projects.